We can't quite believe that the summer has finally arrived. June is here and all of a sudden we've gone from the devastating floods and storms of the winter to realising that for the last couple of nights it has been a little hot to sleep comfortably under the winter duvet. Time flies, and suddenly we are in June. If you, like us, just noticed how far through the year we truly are, then probably summer holidays aren't far from your mind. Whether you are lucky enough to have booked a retreat to sunnier climes, or you are vacationing in the glory of the English countryside, we have a great gift idea for the man in your life! There is nothing quite like a proper washbag to help a gent feel important. Old or young, all men have a grooming regimen and products and tools that go with it. Whether these are razors and potions for keeping sensitive skin smooth, aftershave and shower gel for the busy man of action, or a range of hair-gels, combs and beard trimmers for the stylish modern gent. For too long men have had their essentials brushed under the carpet and ignored, so there is something satisfying about having the effort gone through to look good recognised and cared for. 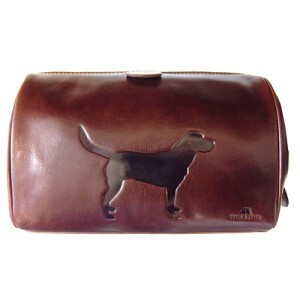 Our fantastic range of genuine leather washbags are truly luxurious. 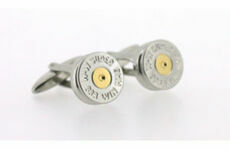 Perfect for the gent that likes to travel in style. Whether he is travelling for business or for pleasure, this washbag is sure to look great on the bathroom shelf of any suite. We think these bags are ideal for the country gentleman, with their embossed motifs featuring traditional country themes. The Labrador Washbag is perfect for the man who is just a bit lost without his best canine friend, allowing him to take a little reminder of the dog away with him. 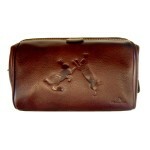 The Sparring Hares Washbag depicts a country scene that is a privilege to witness out in the field. Ideal to take away on business to the city, giving a brief respite from the big smoke. 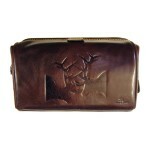 The Rutting Stags Washbag shows the majestic display of power performed by stags at loggerheads in nature. 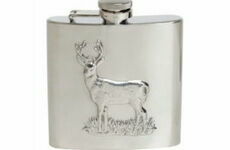 Perfect for the strong man who exudes masculinity. The washbags are fully lined, giving you piece of mind that any small leaks that may be caused by somewhat overzealous baggage handling, will not spell disaster for your belongings.  We are especially keen on the vintage-style 'doctors' bag' opening, complete with metal frame. This makes the bag easy to pack and simple to open and see all your products and grooming essentials, keeping you organised on the go - even on multi-stop trips, or perhaps just for keeping the home bathroom spick, span and clutter-free. There is also a small, elasticated pocket on the inside which is perfect for keeping any small, loose parts (such as razor blades) safe and easily to hand. The whole bundle is surprisingly spacious for something so compact and easy to stow. In fact the dimensions of; Height 180mm, Width 250mm, Depth 130mm seem deceptive when you see the inside opened out. But it is just brilliant for slipping into a bag, especially in these days of such strong baggage restrictions. Why not purchase a washbag as a gift for the gent in your life? Just before the summer holidays, now is the ideal time. 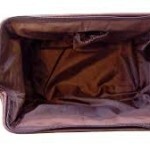 And for a washbag with quality such as these, it is sure to be greatly appreciated, valued and used for years to come. A gift for any occasion, whether birthday, father's day or just because, the utility of the present combined with its classic aesthetic is sure to please even the most picky of sirs!